Kaytlin Neil is an amateur mixed martial arts prospect fighting out the Beehive State of Utah. Holding a 3-2 record, Neil will step inside the cage tomorrow night seeking to right her ship after sustaining back -to-back losses. MyMMANews.com caught up with Neil to discuss the fight and her plans to continue in the sport of mixed martial arts. 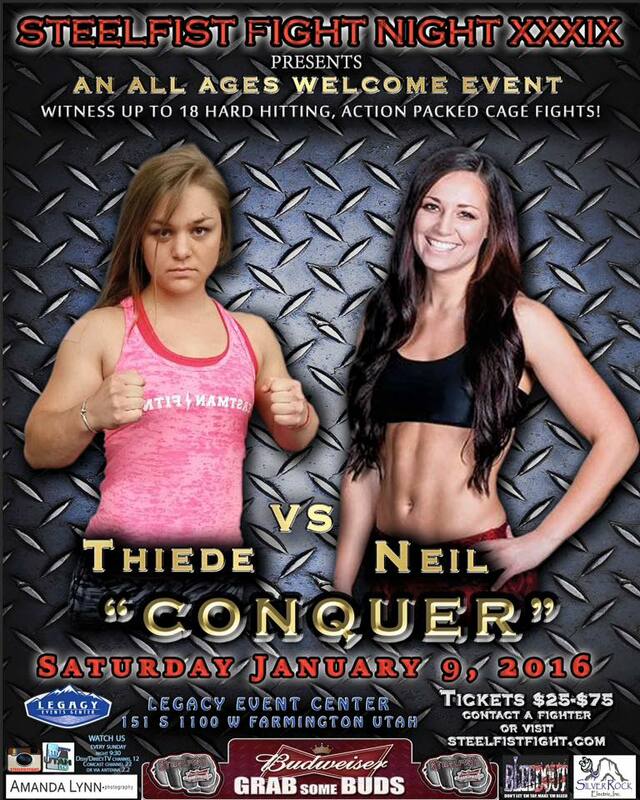 MyMMANews – Kaytlin, you are fighting Brittany Thiede this coming Saturday at SteelFist Fight Night, in what is your sixth amateur bout. What do you know about Brittany and what do you think your keys to winning this fight are? MyMMANews – You are coming off back to back losses and have not fought in nearly 10 months. What have you been doing in that time off and what can we expect to see differently? MyMMANews – Where are you training and who are your coaches? MyMMANews – You fight at 135 pounds. Is it hard to make that weight? Do you have to cut much? MyMMANews – You live in Utah. You don’t hear much about Utah and mixed martial arts very often. Jeremy Horn being one of the biggest names to come out of the state. Are there very many shows there or places to train? MyMMANews – Any plans on going pro in 2016? 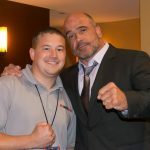 MyMMANews – Lastly, any sponsors or shoutouts?